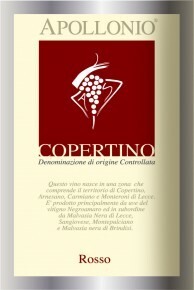 Copertino is ruby red in color. 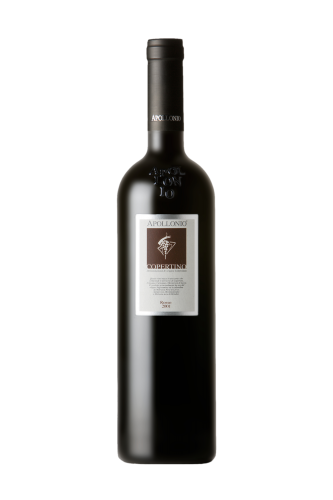 It has a clean, generous, and full-bodied nose and palate with attractive hints of blackberry, minerals, and herbs. It pairs well with roasted meats and game. Grapes are harvested by hand when the bunches are fully ripe. In order to obtain a good structure, harvest is delayed so as to facilitate the concentration of sugar and extractive substances. Soft pressing. followed by traditional temperature-controlled fermentation in large wooden vats (12,500lt capacity) for 30-45 days. 6 months in French oak barrels and 6 months in bottles.